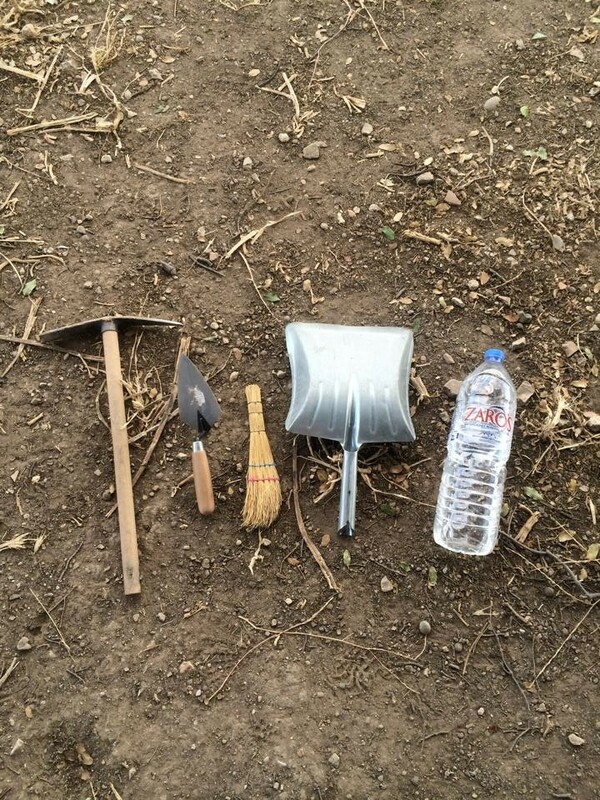 Every good archaeologist has a set of essential tools used daily on site. While some are more important then others each plays an important role in excavation. Required for more detailed work such as articulating large rocks or cleaning a bulk at the end of the day. 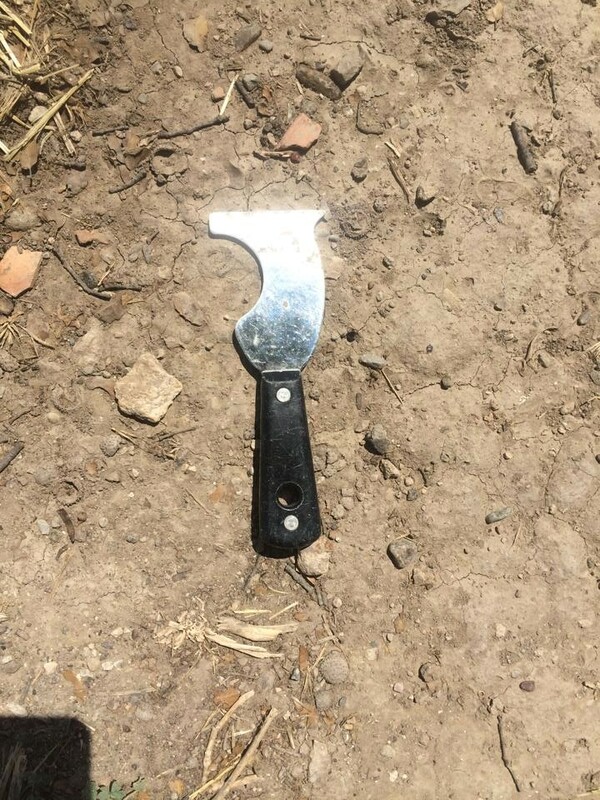 A pick does less damage then most other tools because when breaking into the earth there is only on small point of contact rather than with a shovel where more extensive damage can be done due to its width. Sometimes it feels as though there is nothing that a trowel cannot do. During my first few days on site the trowel felt awkward in my hand and I wasn’t quite sure of its full purpose. Now after 5 weeks on site it fits naturally in my hand, almost like an extension of my arm. A trowel to an archaeologist is like a scalpel to a surgeon. Since arriving on site not a day has gone by that I have not required my trowel. It can be used for a variety of things on site ranging from scraping a bulk to examining soil changes on a surface, or simply collecting dirt into a dustpan. It’s most important use in my experience is for checking for changes in soil on a surface. For example if you are working on a surface using picks and shovels you may not notice a change in soil density that clearly. If one area is denser or more clay like then another, a quick scrape on the surface with the edge of your trowel will help to clarify any changes. The brushes found on site range from paintbrushes to large brooms. Small straw brushes as shown in the image above are particularly useful for brushing off rocks and cleaning uneven surfaces. Paintbrushes can be used on site for more delicate work and gentle cleaning in order to not damage or displace the item being excavated. For example if you were to come across a mud brick that you wanted to articulate and photograph a paintbrush would to the least damage. Larger brooms can often be used on harder surfaces at the end of the day to clean up, in a similar fashion to the way you would sweep the floor at home. 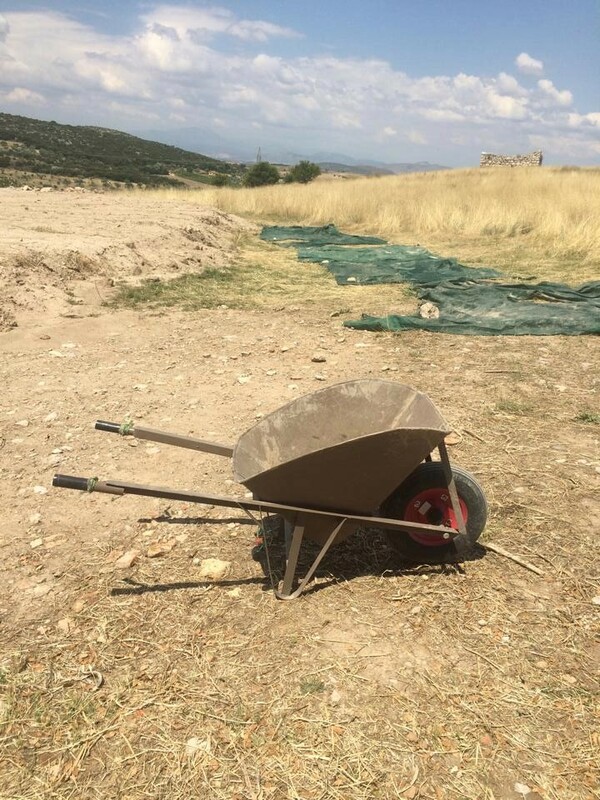 While dustpans may seem insignificant in day-to-day life they are very important at an excavation site for soil removal. When working in smaller areas where a shovel is not an option, the dustpan is a lifesaver. Also very helpful at the end of the day to clean up any messes created during excavation. A clean trench is the best kind of trench. The Water Bottle:Most important tool of all. Without water nothing can be done on site. This may seem silly but dehydration is no joke here at EPAB. With hot days and lots of physical activity you can become ill very quickly if you aren’t drinking lots of water. The average team member will drink 2-4 liters of water before lunch. If you aren’t hydrated you cant dig, and that’s no fun for anyone. The shovel and the pick go together like peanut butter and jelly. When removing a layer or soil, or making a pass, the pick will be used along with the shovel. 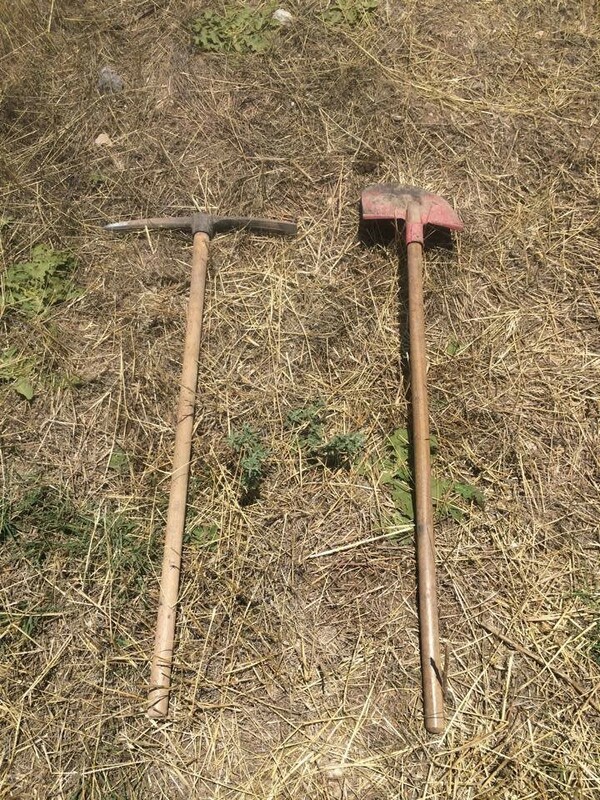 Similar to a small pick a large pick is used to loosen soil. Large picks play an important role in the removal of soil, particularly when opening a new trench and getting through the layer of top soil. The pick like make somewhere between a 5-10cm pass and a shovel will follow behind removing the soil being careful not to carve into the newly reveled layer below. This technique is used in order to prevent unnecessary damage to potential artifacts in the soil. Two tools that are often unappreciated but play an important role on site. 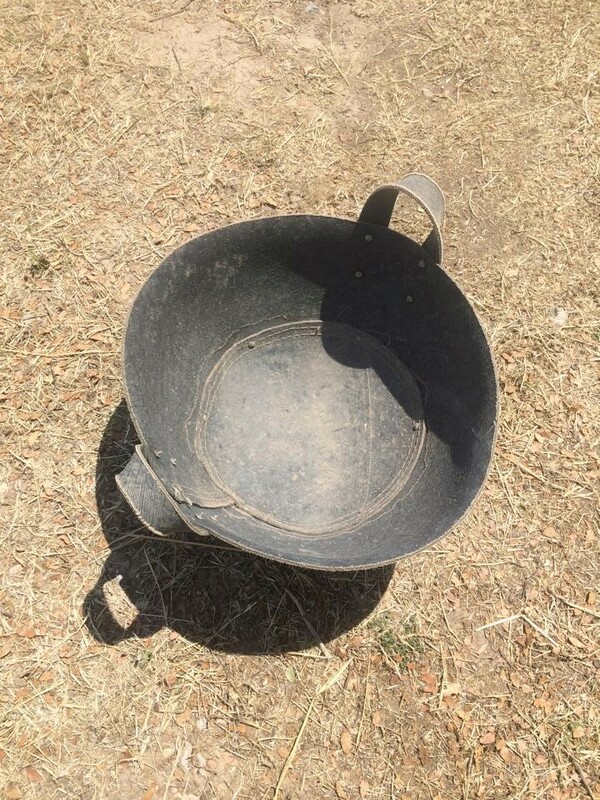 A Zambeli is a large rubber bucket placed in the trenches and is very important in removing soil. Soil it transferred from the trenches to the wheelbarrows via the zambeli and then transported to the dirt pile away from the trenches. In order to excavate a site you need to be clean and precise, so soil needs to be constantly moving. Wheelbarrows are often running non-stop all day long on site. Bulk Scraper: The secret weapon. This tool is how you get the straightest bulk walls on site. Archaeological sites are broken down into grid units and on our site each grid is a 5 X 5 meter square. Bulk walls for as you move down into the soil sort of like a small shaft. These bulk walls need to be straight and vertical in order to ensure that you are collecting everything that is within you grid unit. If your bulk slants you could miss an important artifact or feature within the soil. This tool shown above helps to create perfectly flat and vertical bulk walls.